We take a look back at some of the handsets that were making the headlines five and ten years ago in October 2003 and October 2008. 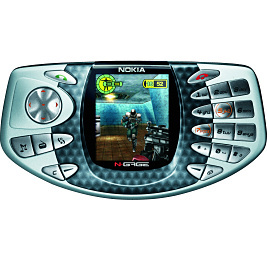 Nokia noticed that people like to play games on their mobile phones - so it would seem logical to make a handset for the job, and the Nokia N-Gage was a memorable but ultimately doomed attempt at a handheld gaming device. The Nokia 3660 was an early Symbian smartphone, replacing the 3650 which had a weird rotary-style keypad, but it still retained the unusual and somewhat bulky shape of its predecessor. Sendo were a British manufacturer that are best remembered these days for cheap and cheerful pay-as-you-go phones. However, they were also involved in smartphones and the Sendo X was an attractive Symbian device which made Nokia rivals look rather basic. But Sendo never intended to go into the Symbian market at all as they did some pioneering work with Windows, however a massive row with Microsoft alleging the leak of trade secrets to HTC killed that project off. HTC got to market before Sendo, and HTC's second Windows smartphone was called the HTC Himalaya, sold in the UK as the O2 XDA II. The Himalaya was a touchscreen device with a specification not a million miles away from the original iPhone that hit the market four years later. Early Windows phones were not all touchscreen devices, and the Motorola MPx200 was an attempt to put Windows Phone into a traditional clamshell design, something that seems rather quaint and pointless today. 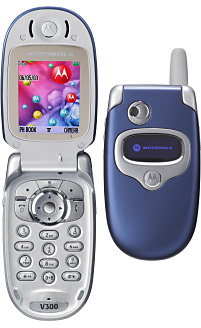 Motorola had a reputation for making attractive (but hard-to-use) clamshell phones, and the Motorola V300 was an attractive low-cost phone that was quite popular with consumers. 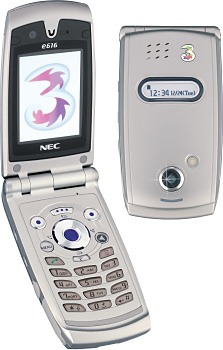 NEC were one of the early leaders in 3G phones, and the NEC E616 was a very popular early handset on the Hutchison 3 network. But most owners were only really interested because the 3 network was very cheap, rather than being interested in the capabilities of the phone itself. 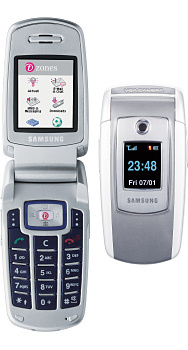 The Samsung E700 was an attractive and sleek clamshell phone, and is arguably one of the few Samsung phones that is actually memorable for its design. Nokia weren't the only company that could come out with a striking design.. Siemens could too. And the Siemens MC60 is one example of a manufacturer that could come up with something rather more interesting than a traditional brick. Nokia had been an early pioneer in touchscreen phones but had given up because of consumer indifference. But the launch of the iPhone had made Nokia's devices look rather old-fashioned, so the Nokia 5800 XpressMusic was created which managed to please a lot of Nokia fans, but it didn't quite offer the elegant user experience as the Apple did. The Nokia N85 was a two-way slider which was an early adopter of OLED screen technology, and shared several design characteristics with the then-popular Nokia N95. The Nokia N79 wasn't radically different from the sort of Symbian smartphones that Nokia were making five years before. It seems obvious to us that this type of device was dying in favour of touchscreen devices, but it didn't seem that way at the time. 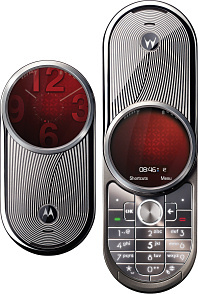 This is what happens when Motorola engineers have too much time on their hands.. the beautiful but completely bonkers Motorola AURA combined precise engineering with novel features such as a circular display, and came with a price tag that was sure to make it a very exclusive device. And this is what happens when a company loses its way.. the Motorola KRAVE appears to have been created by a team that has vaguely heard of the iPhone but has never seen one. 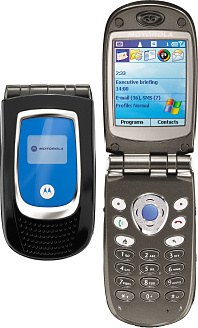 It took Motorola nearly a whole year after this to come up with an Android device instead. HTC were still a Windows-only manufacturer back in 2008, and the HTC Touch 3G showed that it was possible to make a Microsoft-based phone that actually looked nice. Symbian was still the leading smartphone OS at the time, and the Samsung i7110 was a pretty rare non-Nokia Symbian device. Although Samsung had proven several times that it was possible to build a better Nokia than Nokia, it wasn't enough to get Nokia fans to switch. 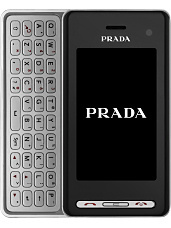 LG pioneered the black slabby look with the original PRADA touchscreen phone, and the LG PRADA II added a keyboard. But as other manufacturers have found, collaborating with a fashion house does not necessarily lead to a device that consumers will buy.